1. 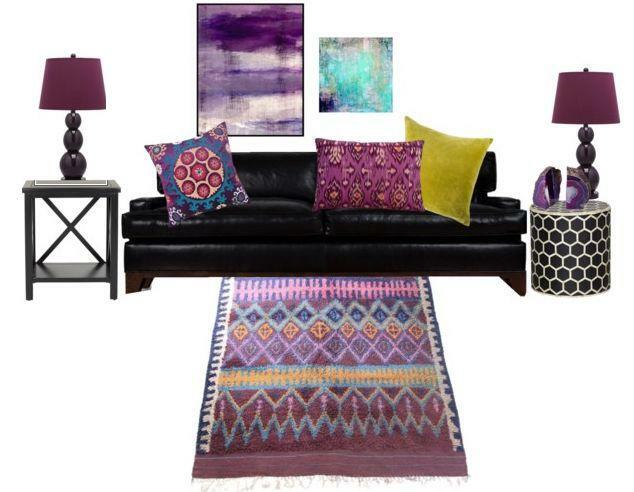 Eclectic and Jewel Toned. 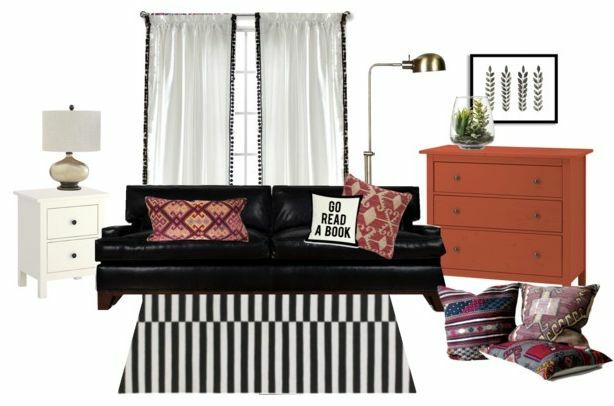 Rather than downplay the dark bulkiness of the couch, I could just embrace it with lots of deep, moody colors and patterns. I love an eclectic global vibe with a mix of patterns. I scout Turkish rugs on Ebay constantly just to torture myself, but maybe one day I’ll find an amazing deal on the perfect thing and it will just bring the whole thing together. This one’s definitely a bit masculine due to the earthy tones. 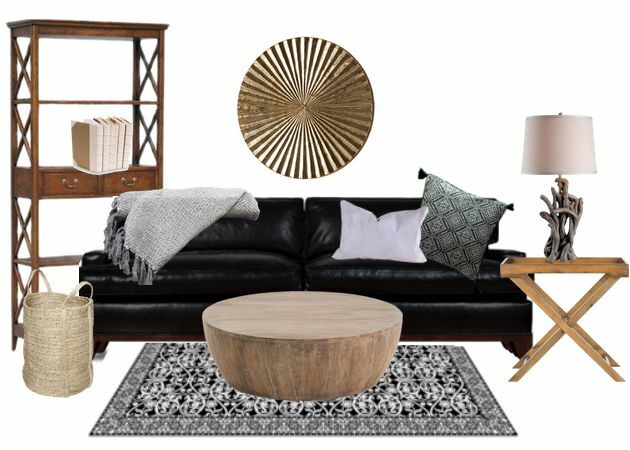 I like the idea of using different wood tones, woven items, and metals. Lots of textures kind of makes the couch recede into the background, which I like. This isn’t my style, but I think it’s pretty. 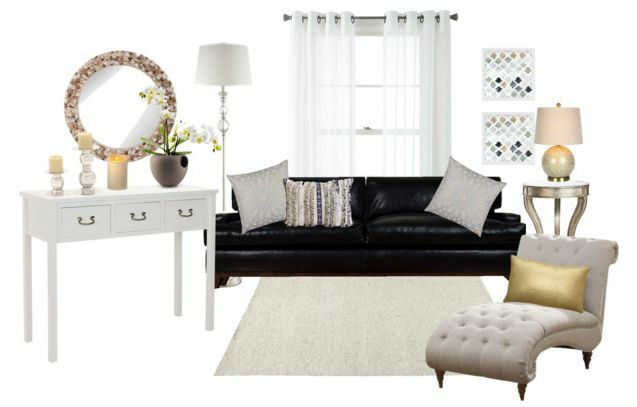 The idea behind this one is just to pretend the black leather doesn’t exist by layering white, cream, and metallic items around it. Very feminine and classy (and not at all kid-friendly). I think I need more shiny things in my life. This one’s probably the most budget and kid-friendly. And it’s actually my favorite because it’s livable. The dresser, side table, and rug are some IKEA favorites. The curtains, terrarium, and art are easily DIY ideas. The black and white with pops of color is really easy to recreate, isn’t limited to a certain palette, and easy to change out. Plus every item is something that could work elsewhere, which I like since I love changing things up regularly. I’m inspired, so some use-what-I’ve-got rearranging is in the plans for the week. Which is your favorite?